As a Christian, I am interested in reading and exploring the various translations of the bible. 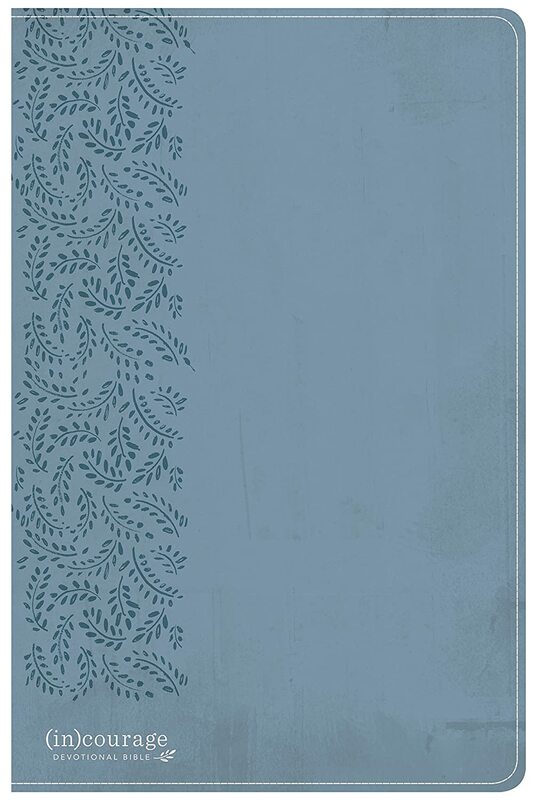 I was recently offered the opportunity to review the CSB (in)courage Devotional Bible in exchange for a free copy. When my copy of my bible arrived I was immediately impressed by how pretty it was- even the band around the bible was floral and feminine. I was so excited to open and explore this devotional bible. The 52 devotions have led me to thoughtful and purposeful verses to read. These verses are supportive of the devotion message and have really made me think and reflect. One thing I really like about this bible is that there is plenty of space for journaling my thoughts and learnings. The devotions are based on 10 color coded themes- from brokenness to leadership to friendship- so many topics are covered. Along with the color coded themes, there are reading plans that range from 5-7 weeks. This is an in depth study of the bible! There are also daily passages and plenty of information about the biblical characters for each theme. One of my favorite things about the (in)courage devotional bible is that it has TWO bookmarks built in! It seems I am always adding more of these to my reading, so this was a big deal for me! 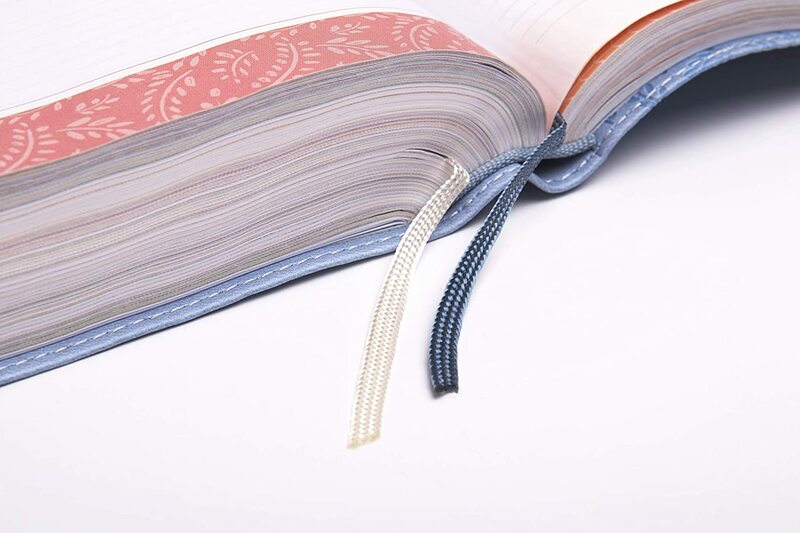 And even the edges of the pages are pretty! 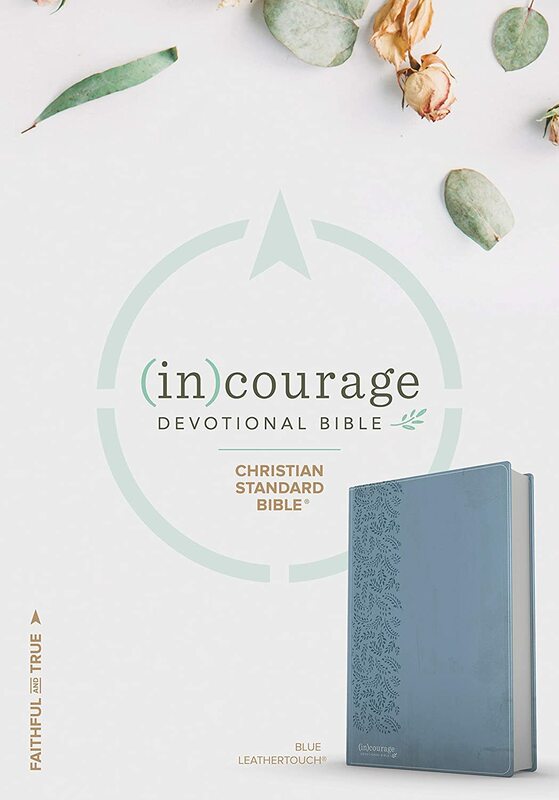 The (in)courage Devotional Bible from Holman Bible Publishers would make a lovely gift for any woman in your life (or yourself!). You can find it HERE on Amazon (affiliate link- we get a tiny commission from anything you purchase through here, which keeps our blog going. So, thank you! ).